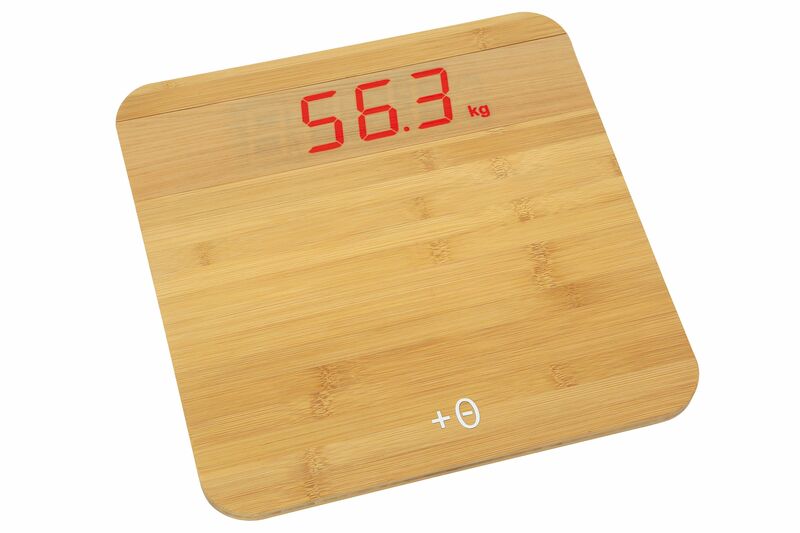 The high-quality bathroom scales "BAMBOO" impresses with a platform made of real bamboo. This extremely durable material with the fine, smooth surface is the fastest growing wood species and stands for sustainability. The purist design blends harmoniously into every bathroom. The invisible display only comes on when you step on the scales and shows the body weight in large, illuminated digits. With BAMBOO, you can regularly check your body weight and specifically promote your health and fitness with sports and a healthy diet.